It’s fair to say, us Brits are burning up! With the weather reaching sweltering temperatures, its pretty hard to not feel like you’re melting away, so, staying cool is more essential than ever. But who said you can’t stay cool and stylish at the same time? So, I have put together some of the best pieces you can wear this summer, that will keep you cool and airy, but best of all stylish and cute. To start it of, there is nothing better than a little off-the-shoulder action. To keep you feeling cool and stylish, while showing off a little skin – just don’t forget to double up on that sun screen, we don’t want any crazy tan line. Or if the style of the off-the-shoulder dress/top allows, a lingerie body could work too. underneath! – Adriana Lima. Adriana couldn’t have been more right, once you’ve got your underwear in check, you’re set to rule the world. Off-the-shoulder is all good, but there comes a point when you need to be a little more free and what could be better than a playsuit. Whether you want to call it a romper or a playsuit, this item will be your all time bestfriend. While in Barbados, my playsuit was definitely my go-to when I couldn’t be bothered to wear my long maxi and wanted to feel the breeze on my leg. Although, the playsuit can quickly turn into your worst enemy when you’ve just got back from the club and are dying to pee – true story – this all in one is perfect. So I’ve picked some of my favourite rompers online, whether its for a casual day out or for a night on the town (please do pee as soon as you feel the urge, this could be sightly awkward if you leave it too long). Of course, I couldn’t forget the playsuits older sister. For those of you who don’t really want to show off too much leg or couldn’t be bothered to shave, the jumpsuit is heaven sent. When it gets hot, we tend to suffer from LTF – for those of you who don’t know what that is, that’s Lazy, Tired and Forgetful. But its essential to remember that even though it’s hot, accessorising is still a must. Whether it’s a hat to block the haters sun, a pair of earrings, body jewellery or metallic tattoos. You still need to rock and let your inner Fashion Killer unleash in the heat – she wants to have fun to, you know! 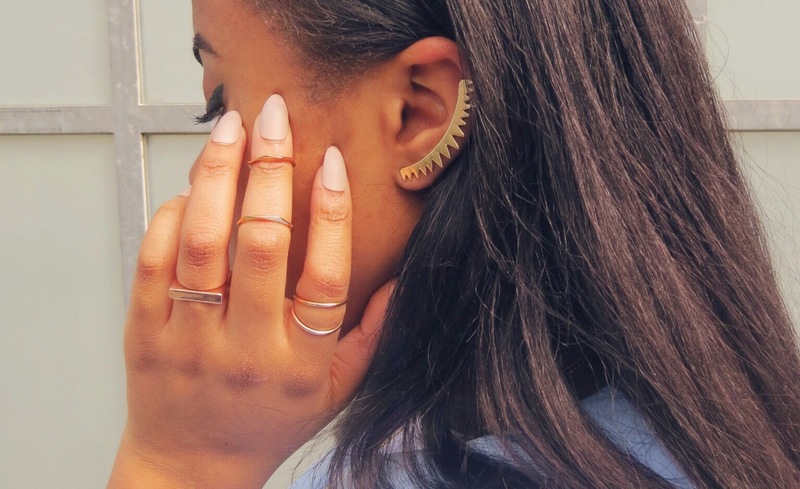 Personally, I like to keep it minimal, so I’ll either rock a pair of hoops, cute earrings or cuffs and stack up on some rings. Oh and before I forget: Get creative with your sunglasses! Experiment; find out what suits your face and go to town!! I’m a sunglasses freak and will often spend 20 minutes trying on every sunglasses in a shop to find out what works for me. Do the same – maybe not 20 minutes, but try at least three different styles, I say buy two sets (minimum) of different styles each summer. But clearly, I have some shopping problems, so, you may not want to follow that, but I for sure have a killer sunglasses collection. Can you say the same?